At its event in New York Today, Microsoft showed it’s finally getting serious about fully immersive virtual reality, not just the augmented reality seen in HoloLens. The company announced it was working with partners to release several PC-tethered VR headsets starting at $299. Partners so far include Dell, HP, Lenovo, Asus, and Acer. The company showed off a ‘HoloTour’ app, originally developed for HoloLens, which allows you to take Street View-like trips around the world. There’s no word on how powerful the headsets will be yet, but it’s an interesting move by the company. Right now, immersive VR requires you to install laser-equipped base stations to track your position in space (in addition the rotational tracking that the headsets are already capable of). Follow all our coverage of Microsoft’s Windows 10 hardware and software event here. 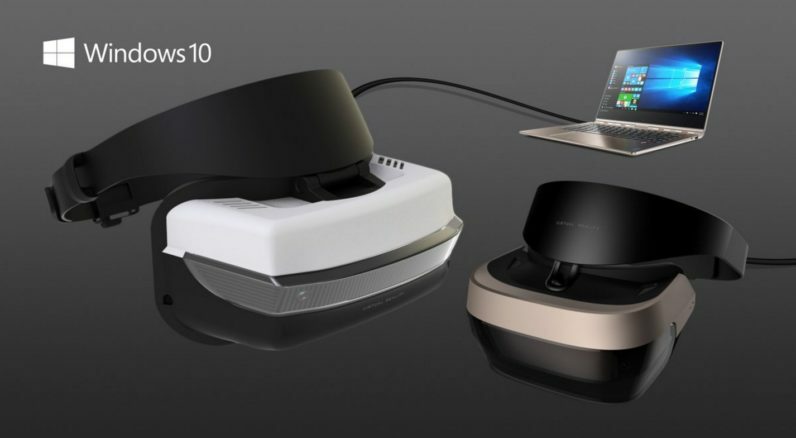 Erratum: We’ve updated this post to reflect that the VR headsets will be tethered to PCs and not standalone devices as originally reported.